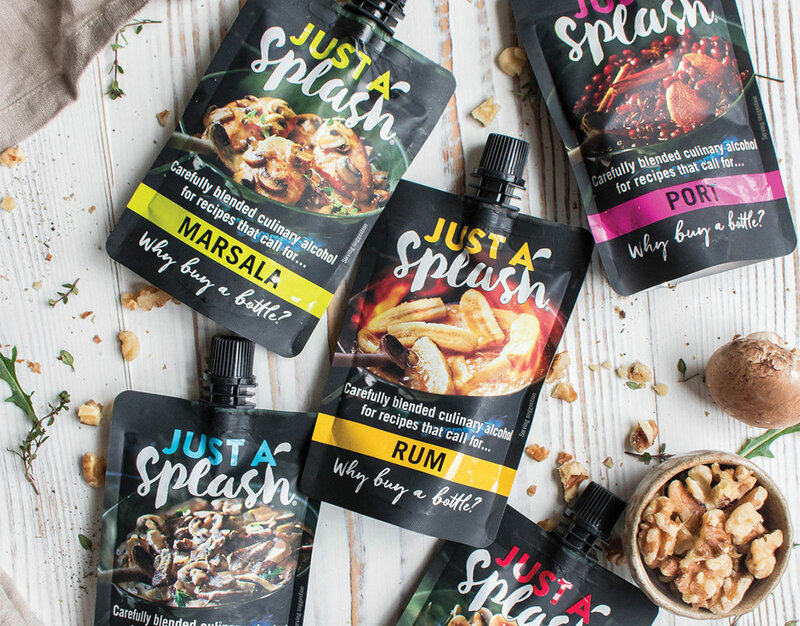 Just a Splash is an exciting new line of innovative cooking alcohol pouches for foodies who enjoy cooking at home. Launching with five varieties, we were brought in to create branding and packaging that would help the brand launch in a big way. 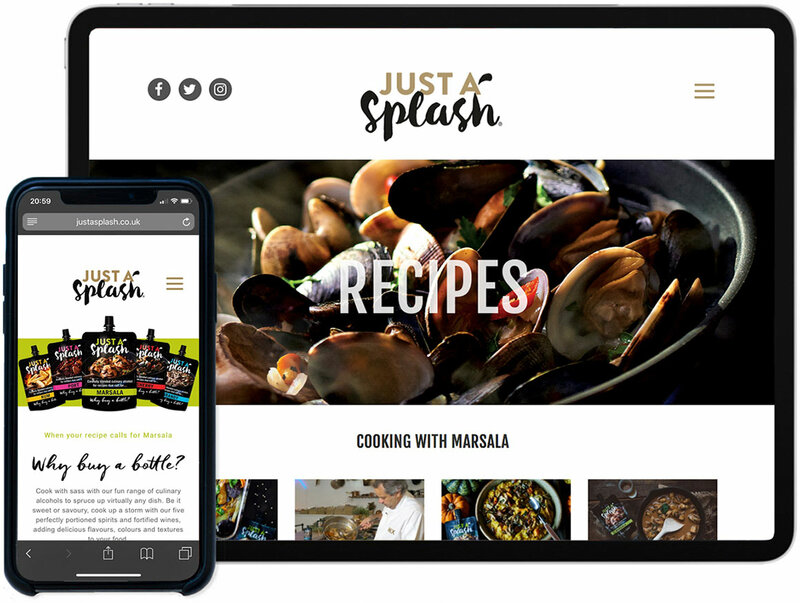 The final design is contemporary, with a playful sophistication injected through the typography, vibrant colour coding and product photography, which we also art directed. 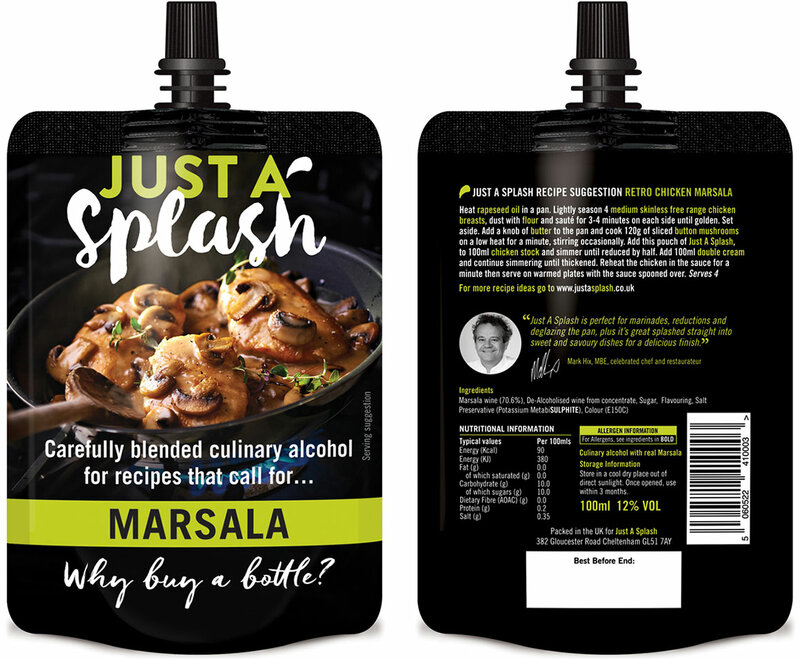 Since its launch, Just a Splash has already won first prize for innovation at the IFE show in London.